2016 is 25 years on from the publication of Douglas Coupland’s iconic novel Generation X. So that generation, the generation of young people, just entering the workplace in 1991 and characterised by Coupland as doomed with lousy jobs and a general attitude of bitter cynicism, is all grown up now and in fact running business and the media. Coupland coined the term Gen X because he felt that there was a seismic difference between that cohort and the Baby Boomers. Since Gen X we’ve had Gen Y, the Millennials (18-34s) and now the Centennials (born around 2000). Next to come, in Britain at least, will be Gen Brexit. 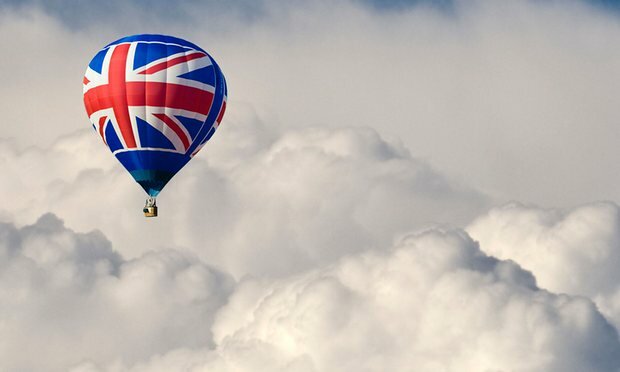 Can we speculate how the events of the last few months will change the nature of young people who will grow up in the early years of the UK negotiating its exit from the EU? Gen Brexit are those who were too young to vote in the referendum, but whose lives will be materially affected by the decisions of those who could and did vote on June 23rd. The differences between generations can be categorised into two buckets: economic and emotional. Economic data is empirical. We can measure how the post war generations suffered or benefitted from their local circumstances. Emotional mood is harder to characterise. Unless you listen out for it. Baby Boomers – the children of the post war years (that’s World War 2) – experienced seismic change growing up – with a sound track in popular music that has arguably never been matched for impact: The Beatles, Woodstock, Dylan, The Rolling Stones, The Beach Boys, Stevie Wonder. Gen X-ers, on the other hand, had grunge as their soundtrack: Smashing Pumpkins, Pearljam and Nirvana . “Here we are now, entertain us, I feel stupid and contagious”, the lyrics to Nirvana hit Smells like Teen Spirit, pretty much sums up the tone of Generation X and was released the same year as Coupland’s book. Economic predictions are polarised in Britain at the moment. The nation is divided. Yet there is a choice now for British youth emotionally between pragmatic optimism and negative despair which will set the tone of voice for the soundtrack for this generation – Gen Brexit. My prediction is that we will witness a step-change in creativity in music in the next generation. Difficult turbulent times make for good creative initiatives. Heavy metal was born from the crash of the industrial revolution. The biggest bands of this genre were cradled in the despair of the industrial midlands. Black Sabbath’s legendary guitarist Tony Iommi was in a dead end job in a dead end industry when he lost the tips of two fingers in an industrial accident at work in a sheet metal factory, and reinvented himself as a guitar player. Some people say that you can hear the sounds of that factory resonate throughout Sabbath’s music. There’s one thing for sure about the next decade in Britain. There’s more change to come. Turn and face the strange. Turn and face the strain. Times might be hard for Gen Brexit, but their soundtrack will be wonderful. Attachment Reminder: You may have forgotten to attach a file. Don’t send? Send anyway? There’s a robot reading our emails. It’s there for our own protection. After all who wants to have to resend an email when they’ve forgotten to actually attach the promised document? It is our little virtual personal assistant. This notification comes up if you write, in the body copy of the email on Outlook, “I’m attaching the relevant document,” but then fail to do so. What brilliant use of technology. Why does it still feel a bit creepy then? Is it because of the potential for expansion from a very simple reminder of an avoidable mistake to censorship, or even punishment? There’s a range of possibilities. If for instance you get really angry with someone, and swear in the email, Outlook might politely suggest that you amend your language. But would it, could it correct subtle sarcasm? If you were angry, the very fact that Outlook corrected you might make you a) angrier or b) angry with Outlook instead. The former makes the situation worse. The latter diffuses the whole thing. Could the robot reader become your conscience? Supposing you fib about what you’re doing for example. You may decline an evening appointment for a variety of not very good reasons. You want a night in in front of the telly. You find the company of the very important person you’re meant to be seeing really quite boring and while lunch is just 90 minutes, dinner could be 180 long long minutes or more. You absolutely can’t drink for yet another evening in a row, and this is the kind of dinner where the wine is expensive and appreciating it is compulsory. You do decline the invitation, but you say that you’re busy when in fact you’re dodging. 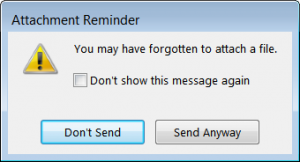 And Outlook says: “You may have forgotten that you are free that evening: Don’t send or Send anyway?” Somehow, that makes the lie more blatant, for some people impossible. General childishness. You’ve used too many emojis for a business email. Outlook may be useful in reminding you that you’re actually at work, and not on fb. Being paid to be professional, and not smiley faced. Well it is all about the algorithm. Can a Microsoft robot be your conscience? Can it go further and shock you into correct behaviour? One British firm is pioneering technology to do exactly this. Intelligent Environments has launched a platform which can link the Pavlok wristband, which delivers a 255 volt shock, to your bank account. So if you overspend, or go below an agreed limit, the tech doesn’t just politely remind you not to, it shocks you. 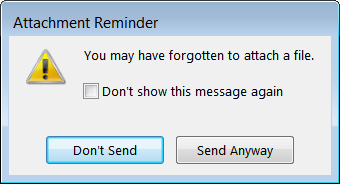 Surely this is just a step on the continuum from the current polite reminder from Microsoft Outlook about attachments. At the moment I don’t know how many of my emails Microsoft understands. If I knew it was everything and all of them then I’d acclimatise. So go ahead Outlook, and yes why not now Linked In. Edit me, be my conscience, make sure I look good. Yes even censor me. I’m sure you would only have my best interest at heart.